Jenn’s Blah Blah Blog and Diva Fabulosa would love for you to join them in the Sizzling Summer Giveaway! Sizzling Summer Kindle Fire/PayPal Cash Giveaway! This event will run from July 20th until Aug 18 but may start a day or two later. If you are interested in taking part in this event you’ll receive 1 Facebook link on the Rafflecopter or Giveaway Tool FREE! Additional links are available at $2 each. Any money collected from people buying additional links will go to a second prize! The more links everyone buys the better the 2nd prize will be for our readers! 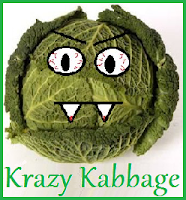 For more information and to sign up go HERE and please let them know that Krazy Kabbage sent you!